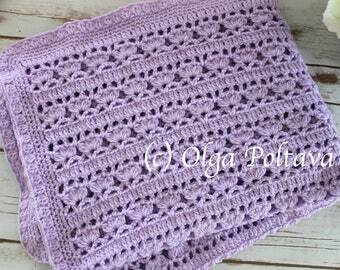 This is a PATTERN ONLY for a beginner level crochet baby blanket (baby afghan) made with light worsted yarn (worsted weight baby yarn will work too) and size G/6 (4.25 mm) hook. Finished size is approximately 37 by 31 inches. This blanket is very easy to make and involves only basic stitches. But as always, don't be shy to contact me if you need any help. The pattern is written using US crochet terminology. This pattern is my original design and it cannot be redistributed. However, you have the permission to sell finished items made from this pattern. 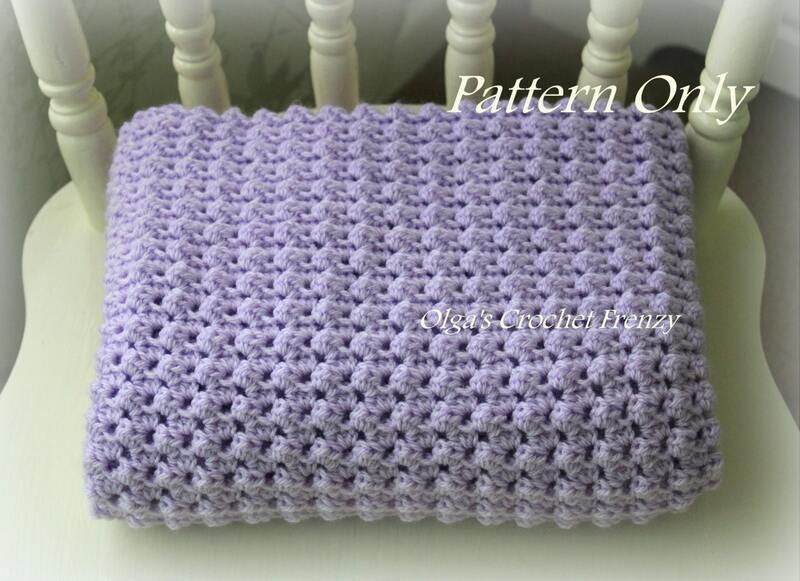 This is an instant PDF download, and the sale of the pattern is final. If you have any questions about the pattern, you can always contact me through Etsy conversation. This was for a pdf file for a crocheted doily. The transfer happened very quickly. I can not wait to make it. Love this pattern! So easy and adorable. There is no refund or exchange on pattern downloads.